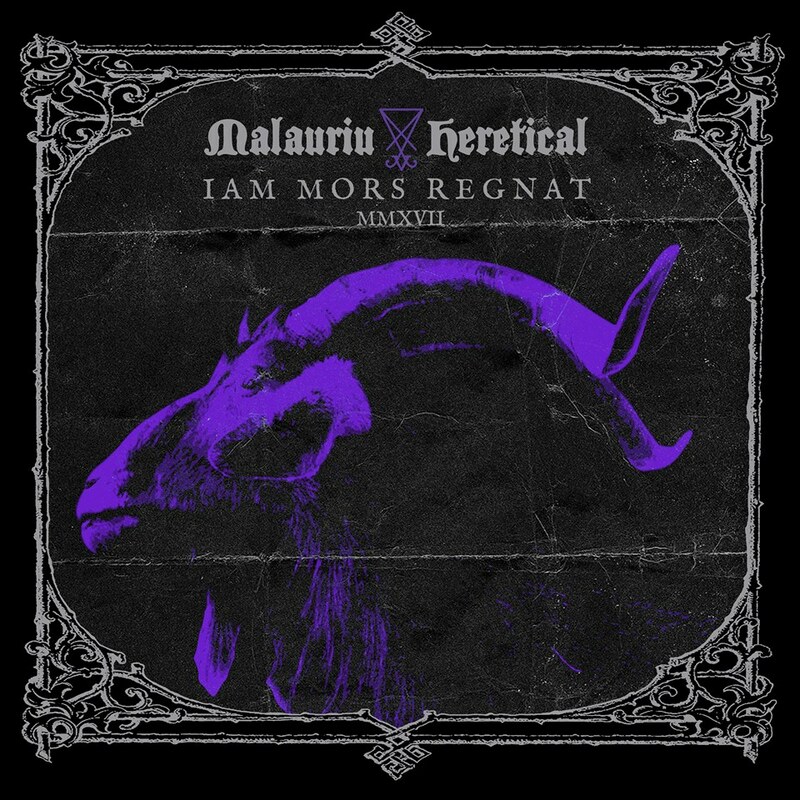 This is a review of a split ep between Italy's Malauri and Heretical called "Iam Mors Regnant" which was released by Zolfo and we will start off the review with Malauriu making a return with their raw style of black metal. Their side of the split starts out with a very fast and raw black metal sound that utilizes a great amount of tremolo picking and blast beats while the vocals are mostly grim screams while all of the musical instruments sound very powerful. The music also brings in a great amount of 90's second wave infleunces and the song also brings in a great mixture of slow, mid paced and fast parts, the production sounds very dark and raw while the lyrics cover death and human misery themes. In my opinion this is another great sounding track from Malauriu and if you are a fan of raw black metal, you should check out their song. Next up is Heretical a band that plays a very symphonic form of black metal. Their side of the split starts out with wth blast beats along with some heavy guitars, symphonic elements and grim black metal screams a few seconds later and the riffs also use a decent amount of melody and operatic female vocals are also utilized briefly. A great mixture of slow, mid paced and fast parts can be heard in their track while the music is more rooted in the 90's style of symphonic black metal, the production sounds very professional to the point where you can hear all of the musical instruments while the lyrics cover Occult Philosophy and Suicide themes. In my opinion this is another great sounding track from Heretical and if you are a fan of symphonic black metal, you should check out their song. In conclussion I feel this is a very great sounding split and would recommend it to all fans of Italian black metal. 8 out of 10.